AMMONNEWS - The General Director of the gendarmerie forces, General Hussein al-Hawatmeh, came to the site near the fourth circle where citizen protest . Hawatma spoke with the protesters, trying to persuade them to evacuate the site and end the sit-in. 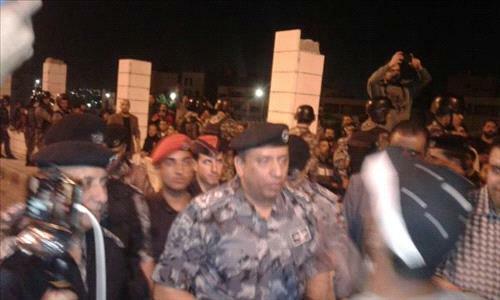 Hawatmeh stressed the need of maintain the peaceful protest and don't close the public road .